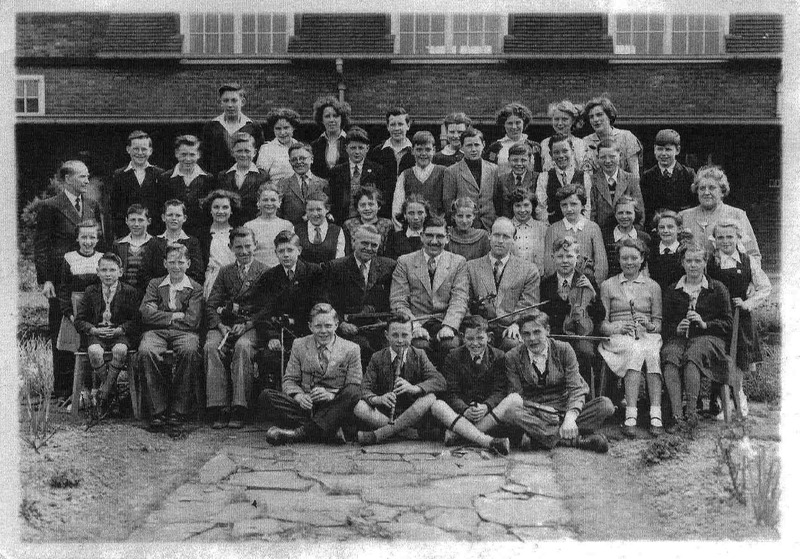 Killamarsh Secondary Modern School – approx 1953. Photo courtesy of Astrid North. Valerie Askey. The lad named as Derick Hatfield is Jeff his younger brother. The girl behind Ron I think is Edna Wardley. The person on the left of the front row is John Newton from Halfway. Now living in Darley Dale. The person between Ken Liddelow and Keith Mallender is Desmond Mallaband from Halfway. This photograph sat on top of Jean’s parent’s piano for almost fifty years so we have lived our lives with the pleasure of seeing all of us frozen in time from thirteen to fourteen years old for all time.There are one or two names i can’t bring to mind anymore but here goes.Back row,David Batty,Eileen Burton,Mavis Russ,Tony Mallinder,can,t recall, Ann Lee, Crystal Popple,Grace Greaves.Next row,Derek Hatfield,Terry Mead,Peter Savage,George Richardson,Reggie Bestall,Dennis Hagen,Ronnie Marshall,can’t recall,Brian Arblaster,Donald Wooley,Mrs Briggs.Next row,Mr Seston,Margaret Goodlad,Peter Goldthorpe,Graham Dobson,Rita,Morris,Janet Laycock,Mary Draycot,Jean Thornelow,Christine Batty,Margaret Shinwell,Jean Hale,Pamela Headworth,can’t recall,Irene Goodwin,Mary Lambert.Next row,Tich Newton,Ken Liddelow,can’t recall,Keith Middleton,Mr Smith,Mr Bolsover,Mr,Rawson,Keith Burdett,Ann Morris,Janet Gascoine,Next row,can’t recall,Stuart Grove,Michael Walton,can’t recall. Four lads front row on the floor, right to left Norman Hallam, Michael Walton Stewart Groves.Last lad not sure about, could have been called Newton.Does this stir any memories. Ron M.
Keith Middleton is on the Second Row Up, Fourth From The Left. I/We have never seen this before. Thanks for posting! Yes Jennifer it is me. Is that David Batty first left back row? Crystal Popple second right back row. Could be Tony Jennings next to back row second right. David Batty as you said top left. Definitely not 1953 I was still at Endowed school and living in Green Lane then.I think it was 1955-56 but could be wrong. Well I have just found my eldest brother Graham Dopson, 3rd row from the front and the third person from the left, I can recognise a few more faces but I can’t remember their names, so come on guys lets have them named.